Prolotherapy is a form of regenerative injection therapy stimulating the healing, growth, and stability of damaged tissues. It is a safe and effective non-surgical approach for treating joint and spine pain caused by weakened and damaged ligaments and tendons. Ligaments are tough bands of tissue that connect bone to bone. They are found along all joints and along the spine of your back. Tendons are tough bands of tissue that attach muscles to bone. Weakened tendons and ligaments irritate surrounding nerve fibers signaling the brain. This often stimulates the surrounding muscles to overcompensate by tightening. The area may feel tight, achy, numb, fatigue, weak, sore, and painful. 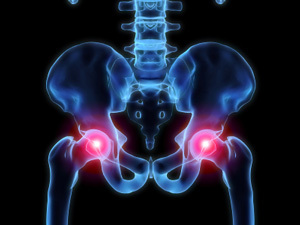 Acute, chronic or recurrent pain, without long lasting relief by rest, strengthening exercises, or physical therapy. Pain associated with joints, spine, neck, back, shoulder, knee, elbow, wrist, ankle, foot, hip, sciatica, arthritis, sports injuries, bursitis, tendonitis, ACL injury, headaches, TMJ disorder, fibromyalgia, and overuse. Alternative to corticosteroid injections, which long-term studies have demonstrated an increased risk of weakening tissue. Although forms of prolotherapy have been around for hundreds of years, in the 1950’s Drs. George Hackett and Gus Hemwall made it much more accessible and easier. They performed prolotherapy with mixture of dextrose, lidocaine and normal saline, which is today’s the most commonly used solution. Former US Surgeon General C. Everett Koop during the Reagan administration endorsed prolotherapy by stating “I was very impressed with what what prolotherapy could do for musculoskeletal disease and a treatment for ligament laxity.” He disclosed that he had been diagnosed by two separate neurological clinics as having intractable pain and obtained complete relief from prolotherapy. He further stated that prolotherapy posed no harm, that the benefits were extraordinary and that such in his case, changed many lives. Why do ligaments and tendons need assistance in healing? 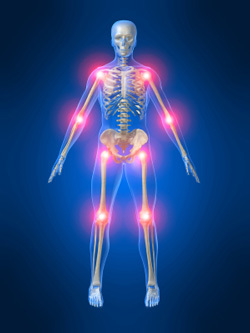 Bones and muscles have a very effective blood supply that recruit necessary healing factors. This is why broken bones and torn muscles commonly heal well with time. Conversely ligaments and tendons have a poor blood supply, which limits the available amount of nutrients and necessary healing factors for repair. By injecting the proper concentration of proliferant solution (prolotherapy) at these weakened areas, the body is able to locally stimulate the proper response for repair and re-strengthening. What is in the Prolotherapy solutions? The most commonly used medicines include dextrose (sugar water), sodium morrhuate (a fish oil product), saline, and lidocaine (short acting numbing medicine). Based on your physical exam, tender and dysfunctional areas are injected with the proliferant solution. A local anesthetic is added for minimal discomfort with the injections. The number of treatment appointments needed varies from patient to patient. A standard course of prolotherapy is 5-8 sessions spaced 2-4 weeks apart. If no benefit or change is noticed after 4 visits, we will reevaluate our plan and treatment options. If you feel benefit after 1 visit, it is highly suggested to return for 1-2 more visits to optimize strengthening of tissues for long term benefit. The initial consultation will include a review of your history, symptoms, activities and methods of injury. Your physician will perform a physical exam gathering information on where you hurt and why. Findings and suggested treatment plans will be reviewed. To schedule an initial consultation call 310 451-8880.